PhD Smart Bar Chocolate Brownie is a great tasting, triple layered high protein, low sugar bar that is free from palm oil. With 20g of quality protein and 2g of sugar per bar, PhD Smart Bar is the intelligent way to get your daily protein fix without adding unwanted carbs. Each bar is 64g. 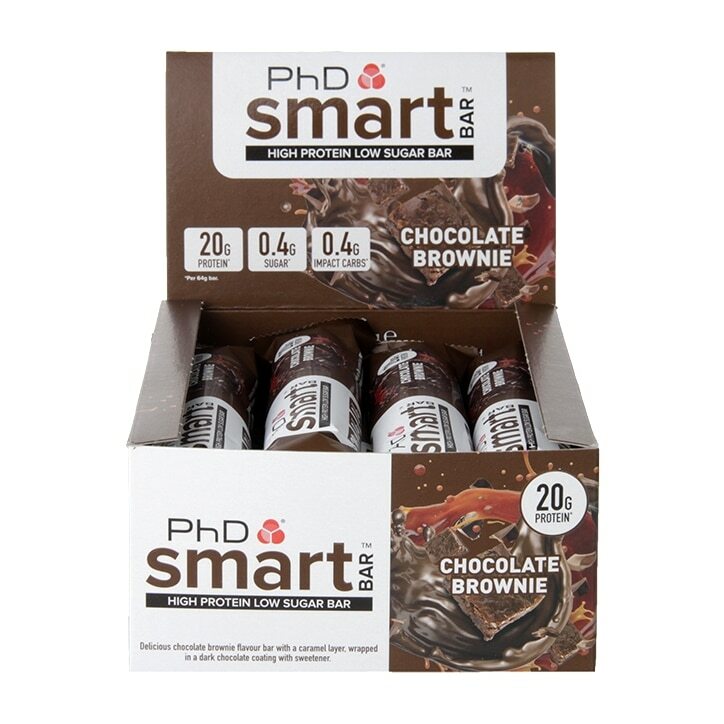 PhD Smart Bar Chocolate Brownie is rated 4.8 out of 5 by 13. Rated 4 out of 5 by Superpest from Great Product Shame about H&B Packaging Methods A great product, really tasty and hits the spot when you need something sweet.